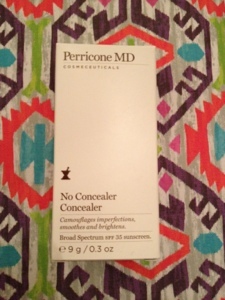 I was recently sent Perricone MD's No Concealer Concealer* to try out. As a super pale lady, I'm always wary of one shade products as they tend to be far too dark for me and make my skin look orange, so I was intrigued to see how this cult favourite would turn out. 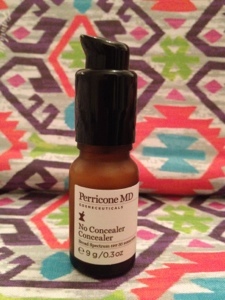 The No Concealer Concealer comes in a small, pump-style bottle. It has both anti-ageing properties and a mineral based SPF 35 within the formula, so is one hard-working little product. I think the name is a little mis-leading as I was expecting something more along the lines of a Touche Eclat consistency. 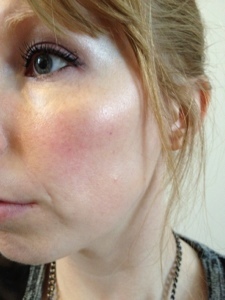 Instead, I got a really thick, slightly pink-toned concealer. Despite the thick texture, this stuff blends really well onto the skin. They advise you to use your fingers to pat a small amount in, rather than brushing or rubbing. This approach has worked well for me, but be warned, a little bit goes a really long way. It may be a one shade product, but it matches really well even with my pale complexion It's slightly too dark for under my eyes, but I've been using to conceal redness around my nose area and also the odd spot, and it's done a great job. Wear time is really good and lasts about 8 hours without primer. I don't have overly oily skin, so for those who do, you may need to reapply. The concealer does have a slight smell to it, which I think is down to the SPF in it. This doesn't really linger once applied, but is definitely noticeable when fresh out of the bottle. The bottle is pretty small given that the product retails at £37, but as you only need a tiny amount, I think the bottle will last for ages. All in all I'm really pleased with this. It's become a firm staple in my makeup bag and I can see myself using it more and more as the weather gets warmer and the SPF really comes into it's own. 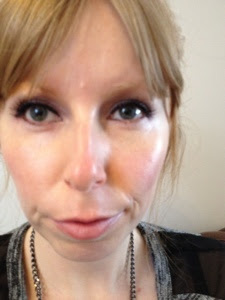 Have you tried the No Concealer Concealer before? I am interested in this - most reviews I have seen for it are good. I just wondered....is there only one shade or does it come in more than one shade? I really want to try this it sounds too good to be true?